Please refer my previous post to do LAB 1 scenario. 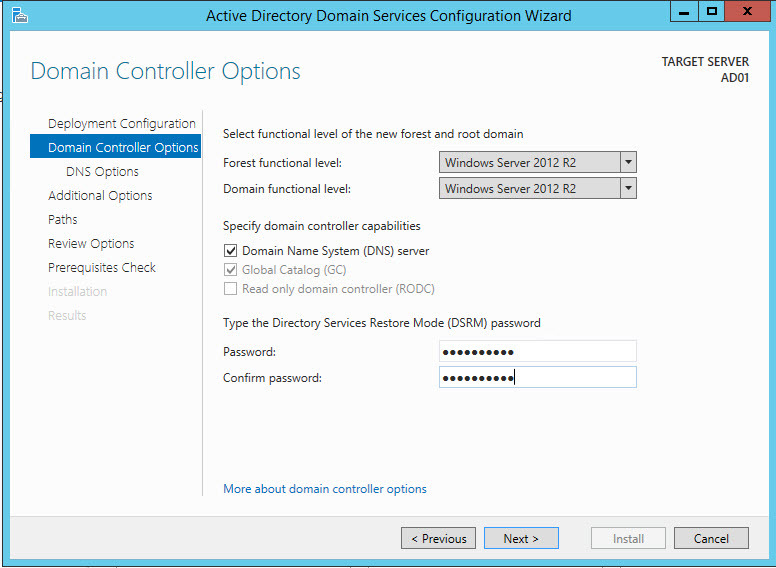 In this post, i have included the steps to setup a Windows server 2012 Active Directory in the Cloud and going to cover the below steps. 2. Define a Virtual Network. 3. 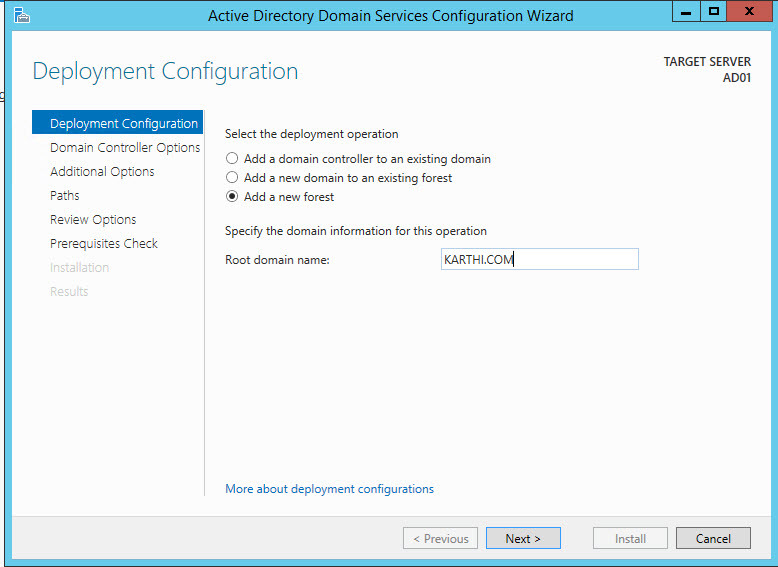 Deploy Windows Server 2012 VM and configure Active Directory. Select NETWORK on the side navigation panel on the management portal. 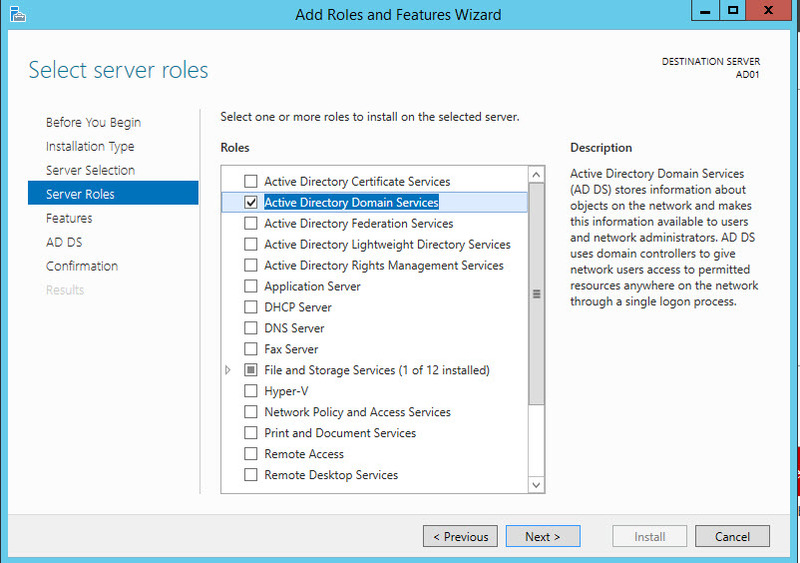 Select NEW on the bottom navigation bar and then select NETWORK SERVICES -> VIRTUAL NETWORK -> REGISTER DNS SERVER. Click REGISTER DNS SERVER button. DNS SERVER is created and you can see the details under NETWORKS. Select NEW on the bottom navigation bar and then select NETWORK SERVICES -> VIRTUAL NETWORK -> QUICK CREATE. Complete the fields as below. Click CREATE A VIRTUAL NETWORK button. VIRTUAL NETWORK is created, you can see under NETWORKS. Select VIRTUAL MACHINES on the side navigation panel and then select +NEW -> COMPUTE -> VIRTUAL MACHINE -> FROM GALLERY. 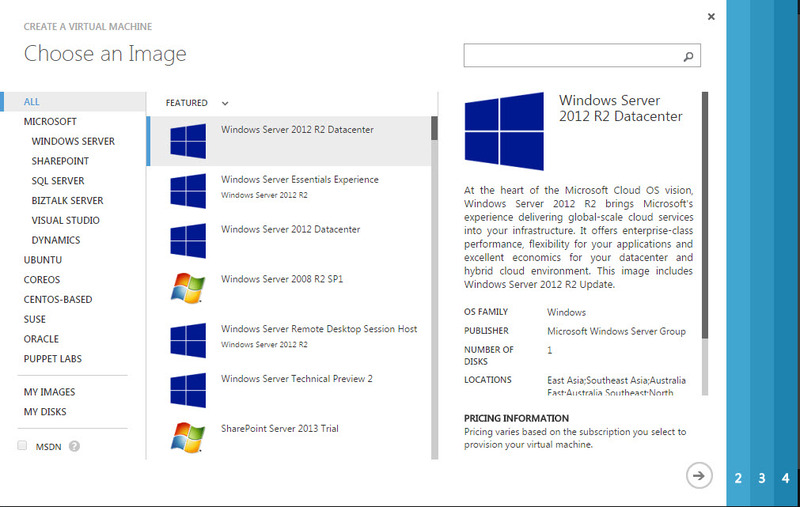 Choose Windows Server 2012 R2 Datacenter and click the button. 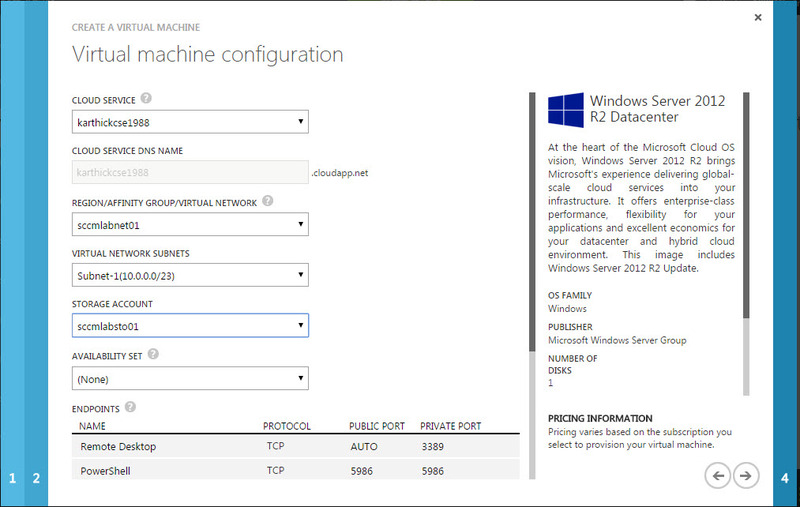 On the Virtual machine configuration page, complete the below fields. VERSION RELEASE DATE : Choose the recent date. On this page, complete the below fields. CLOUD SERVICE : Drop down the Cloud service and select the existing cloud service and CLOUD SERVICE DNS NAME will be filled automatically. REGION/AFFINITY GROUP/VIRTUAL NETWORK : Select the existing virtual network that we created earlier. 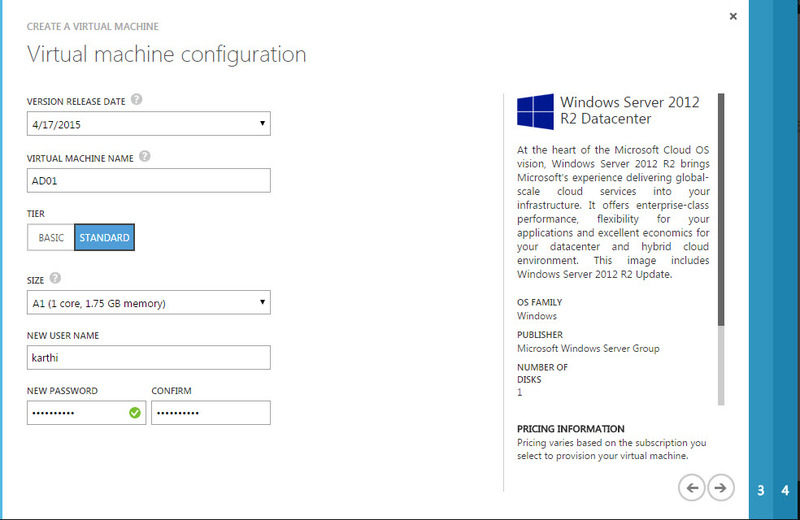 STORAGE ACCOUNT : Select the existing STORAGE ACCOUNT that we created in LAB 1 on my previous Microsoft Azure post. Leave this page as default and click button to create VM. 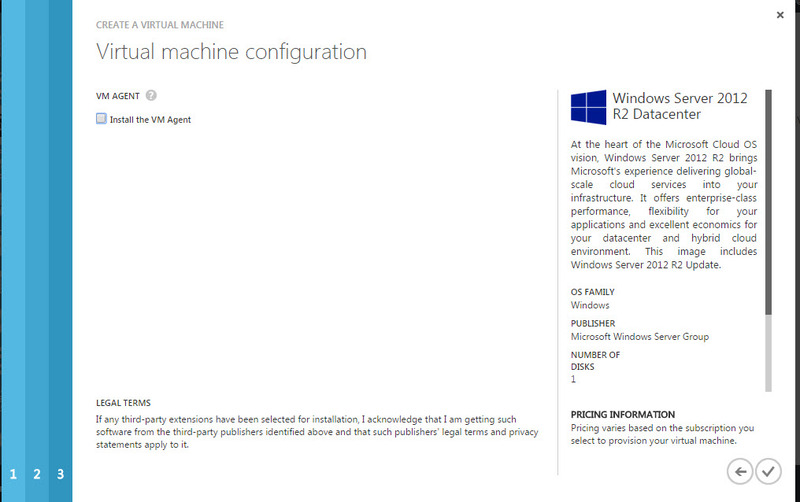 VM is created and you can see under VIRTUAL MACHINES. 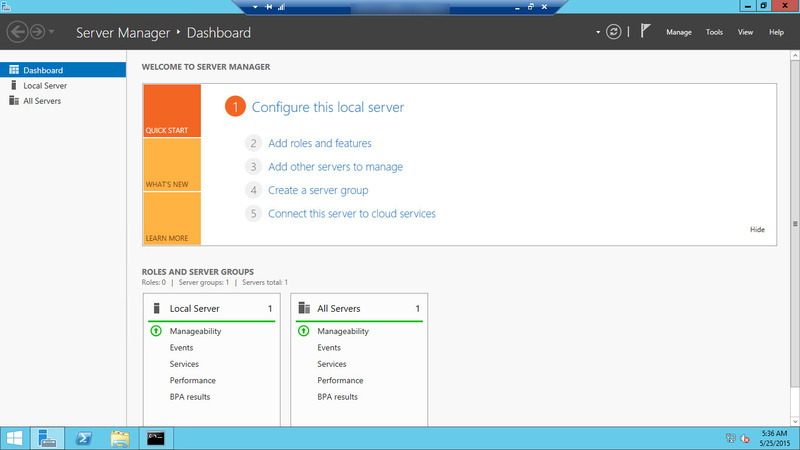 Login into VM and open Server Manager window. 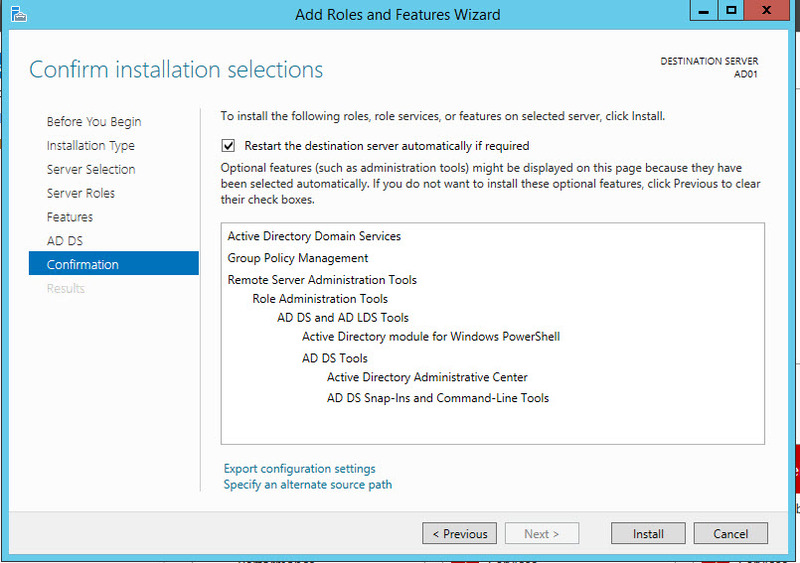 Click on Add roles and features to install Active Directory Domain Services. 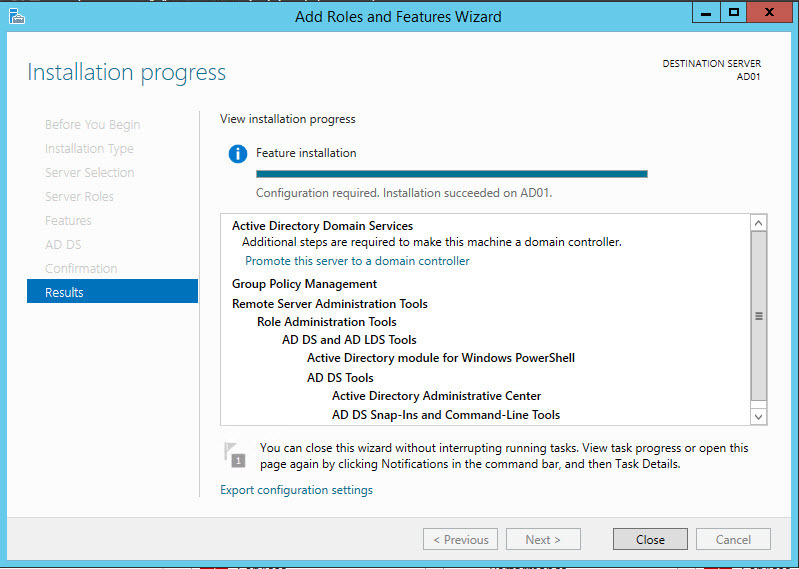 On the confirmation page, Click install to proceed with AD DS installation. 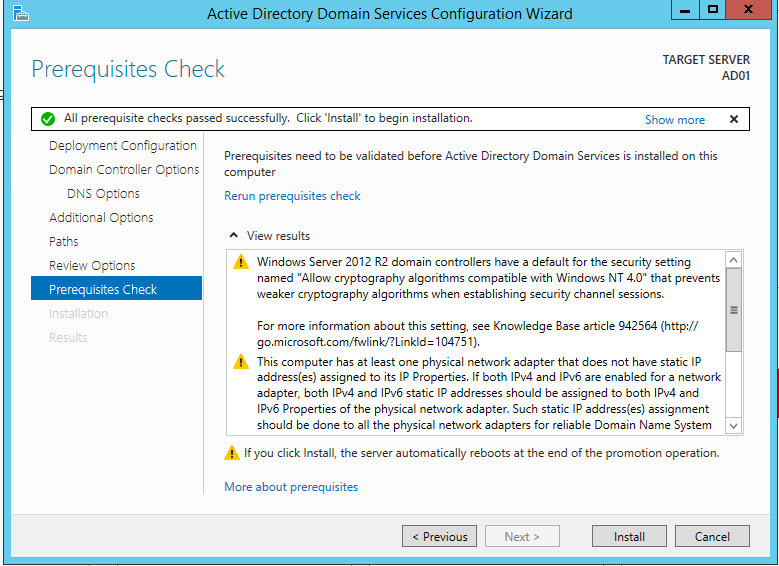 Active Directory Domain Services has been installed. Enter the recovery password and click Next. On the DNS Options page, Leave as it is and click Next. Do not change anything here. 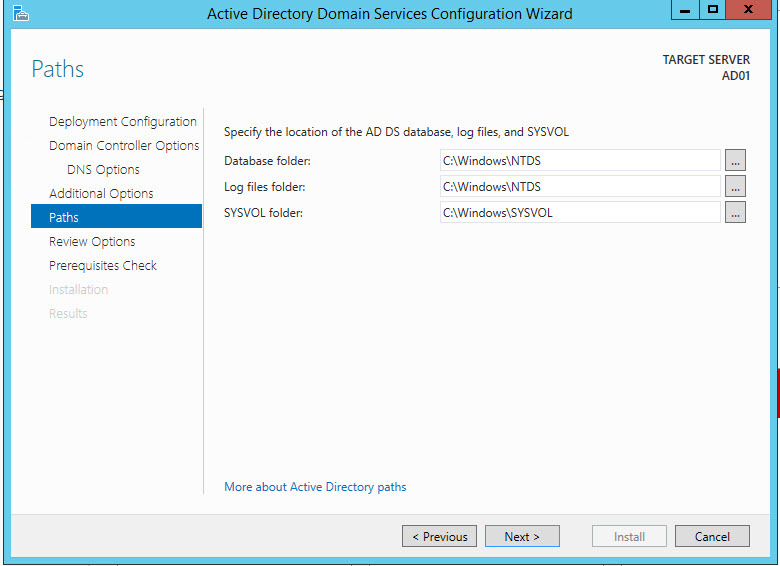 The below path are Active Directory database, Log files and SYSVOL folders location. Once prerequisite check passed Click Install. 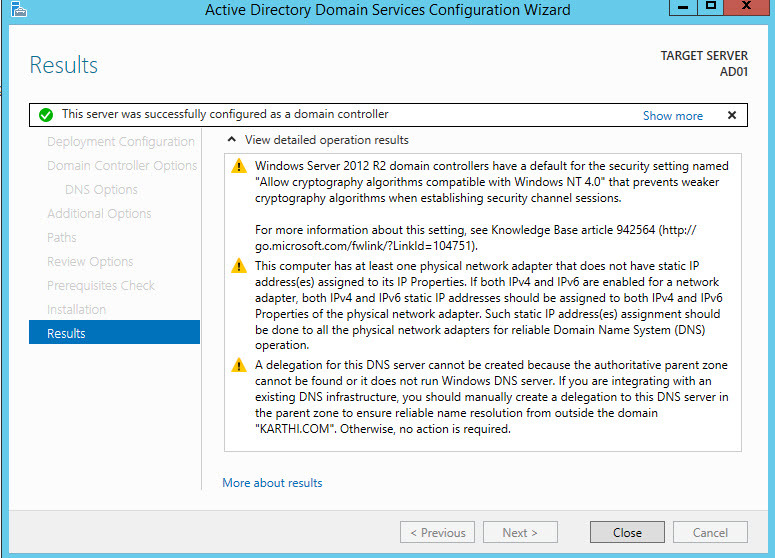 Active Directory Configuration successfully completed and the server will restart automatically.